I have been working at BCL Power since December 2016 at their Milton Keynes office as an Account Manager. As this industry was brand new to me, I was very excited and determined to learn as much as possible. I had done some research on the company; and understood that BCL offer both products and services, with a focus on customer support and relationships. I liked this, and quickly learnt the importance of having a UPS (uninterruptible power supply) system and how they protect companies from power issues such as power cuts & failures. This made me want to learn as much as I could about the product so I could reach out to people to share my knowledge. I was so intrigued, but if I’m honest, I struggled when it came to phoning people to explain. Even though I had such passion, people who were unaware of what a UPS was, couldn’t understand the importance. They wouldn’t really give me the time to explain, they would lose interest or just advise they have this in place already. This only made me more eager to think of ways to get the importance of this across, I didn’t want to feel disheartened when this could save companies a lot of time, money and hassle! What could I do, how could I help myself and the company I was now working for to get this message across, and help me understand more so I could try and excel at my job. I decided to speak to our Operations Manager Jason about possibly going out on site with a BCL Power engineer. This would allow me to see first hand what we do, make notes and ask questions. He said this would be a great idea and we set a date a few weeks later with our engineer Joe. The day before I was due to go to site with Joe, I was a bit nervous as I didn’t know what to expect but I was very excited to have a day out on site. I wrote down a list of some questions for Joe, and took a pen and note pad, packed some lunch and set my alarms for 6.00am, ready to meet him for 7.00am to start our day. We were travelling to the Isle of dogs, London from Milton Keynes. Joe had an annual maintenance review to go to for one of our clients. 2 x UPS systems we were going to see, a 5KVA and a 10KVA. An annual maintenance check ensures that your UPS system is in full working order. Joe advised to our client why I was there, to make them aware and luckily, they were fine for me to watch what goes on. Once Joe was sorted and ready, he then told and showed me what he was doing step by step whilst I made notes and asked questions. I was able to see the UPS system and the room it was running in, and now I can picture in my head and imagine a UPS system, all the cables, servers, cabinets and plugs! Joe took notes of the load time, the output & input, tested each battery on site to make sure they hadn’t shown any signs of deterioration, as well as checking the temperatures via an infrared thermometer temperature gauge, this is to make sure all is in working order. If a bypass switch is in place, which this site had, we also test this and then Joe took a photo of the unit to prove we had been on site, checked it all and then added the photo onto the report to send to the client when we were back at the office. We then completed the annual maintenance check on the 10KVA UPS system and I asked more questions. I now know that an SNMP (Simple Network Management Protocol) card allows the person in charge of the UPS to get reports and email notifications if any issues occur on the system. I was really interested in the SNMP card as this gives the customer peace of mind to know that if anything goes wrong, they will know straight away and can get the issue resolved. 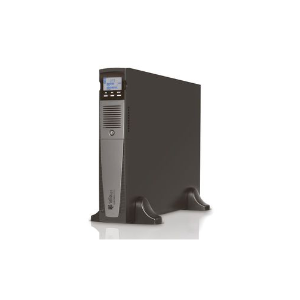 With unlimited maintenance call-outs in our UPS maintenance packages, the customer has 24/7 support for advice or technical support when needed. 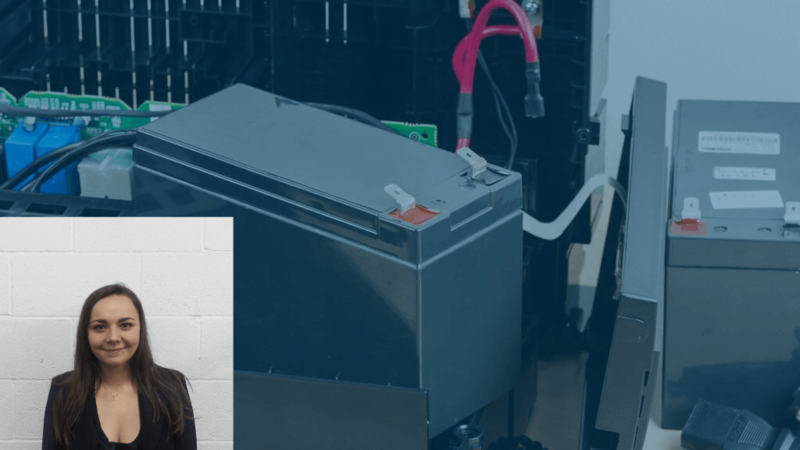 BCL Power are well placed to identify battery issues before they become a problem and if an inverter or power module fault was to occur, we are able to supply parts and labour to get the system back in full working order as soon as possible. Once we were done on site, we got the site contact to sign the paperwork off and advised we would send the reports once back at the office. We stopped and had some lunch whilst talking about the day, and Joe made sure I understood and asked if I wanted to go back through anything. Once we were sorted, we were on our way back to Milton Keynes. I enjoyed my day out, and since then BCL Power have also offered for me to go again very soon to learn more. I now feel happy to assist with clients requests and have a better understanding of the industry and am looking forward to the future.